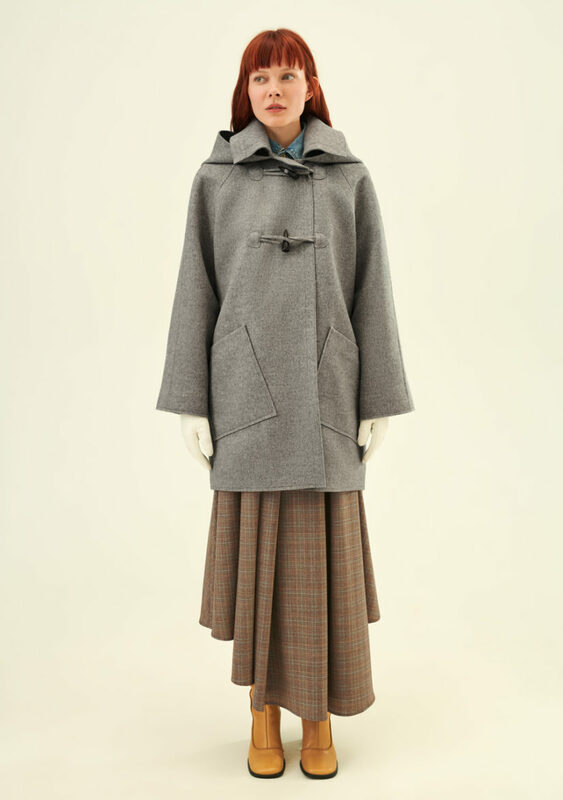 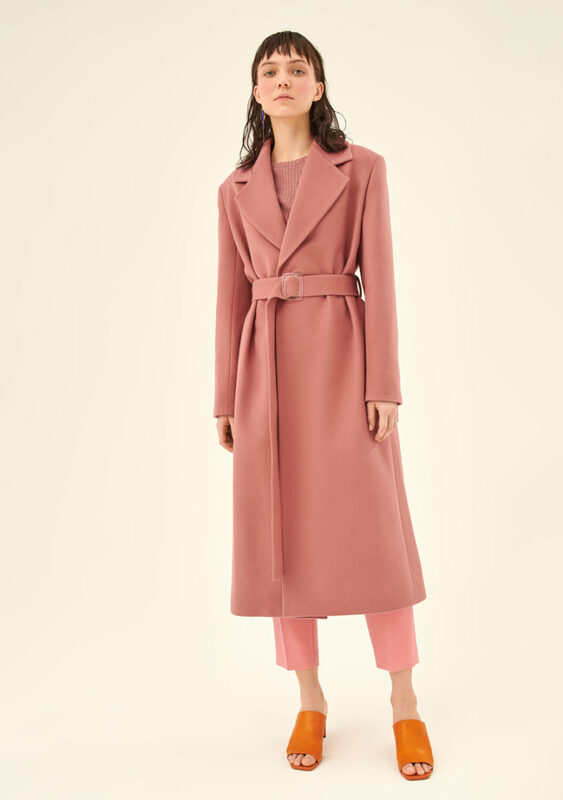 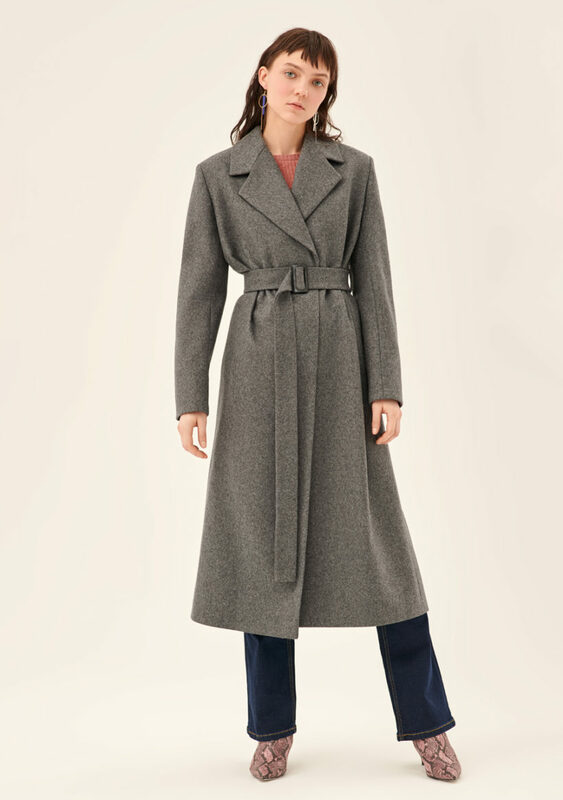 Classic English coat for cold autumn and winter. 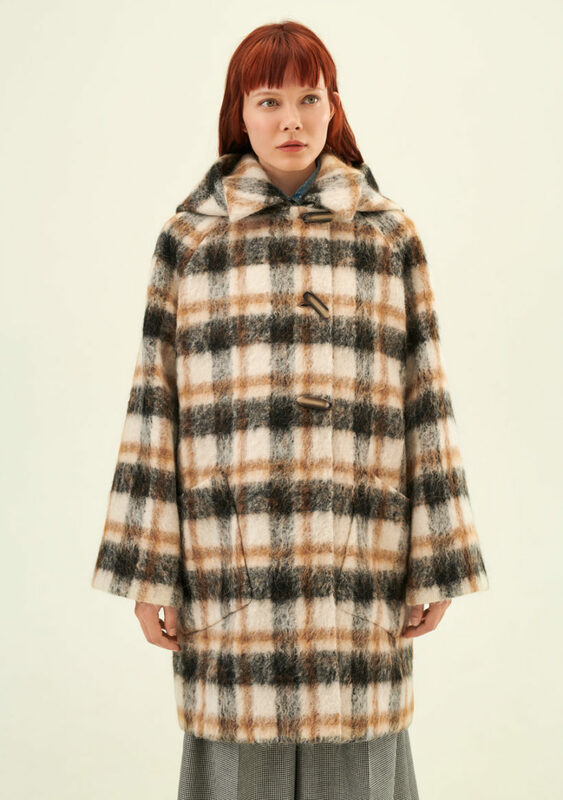 Large bone buttons, voluminous hood and big asymmetric pockets. 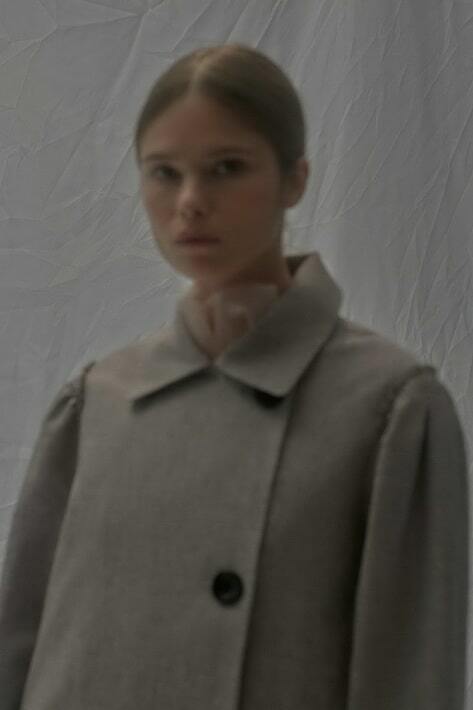 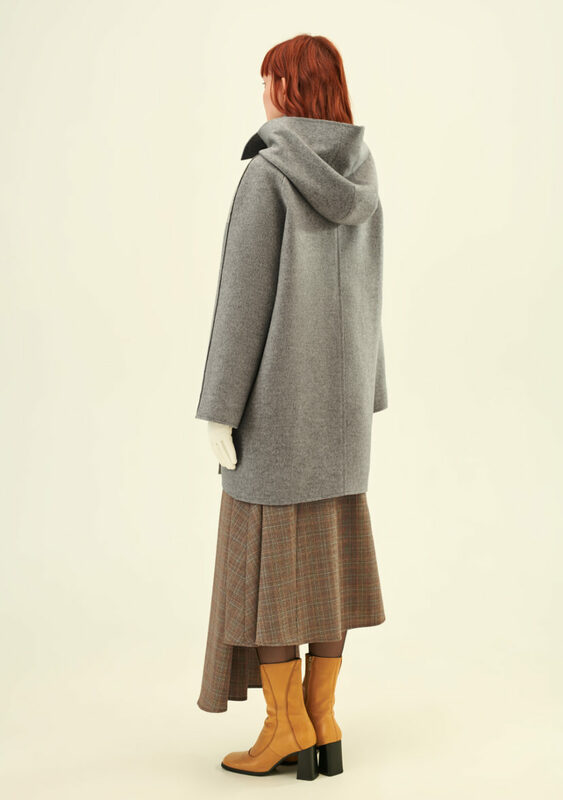 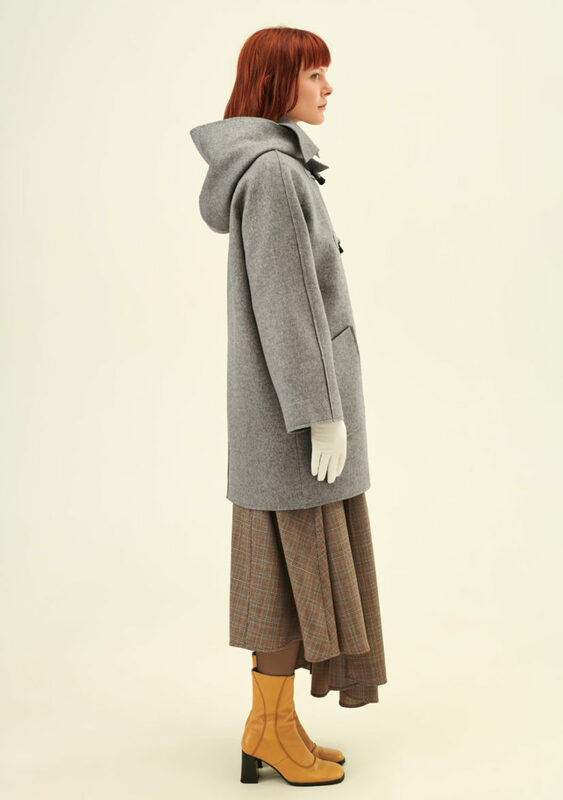 The coat has open edges and is made from dense yet elastic wool in light grey.